Who doesn’t want to retire early? There’s a new movement among financial advisors called FIRE (Financial Independence / Retire Early). The basic idea is to live below what you could theoretically afford, so that you can maximize retirement savings and exit the workforce as soon as possible. So how much money would it really take to retire as early as 55 years old? What about 45, or even 35 years old? 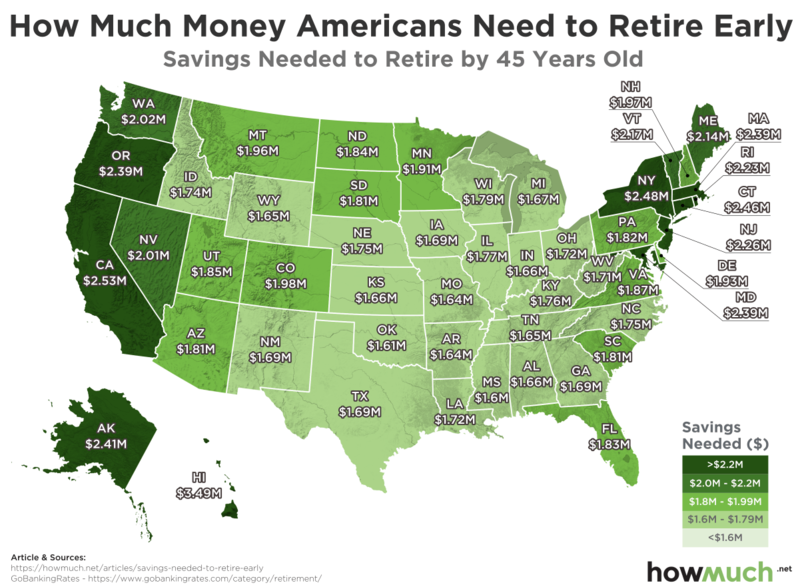 You might not need as much money as you think to retire early, according to our new set of maps. Depending on where you live, you could retire on as little as $1.5 million if you’re 35 years old. 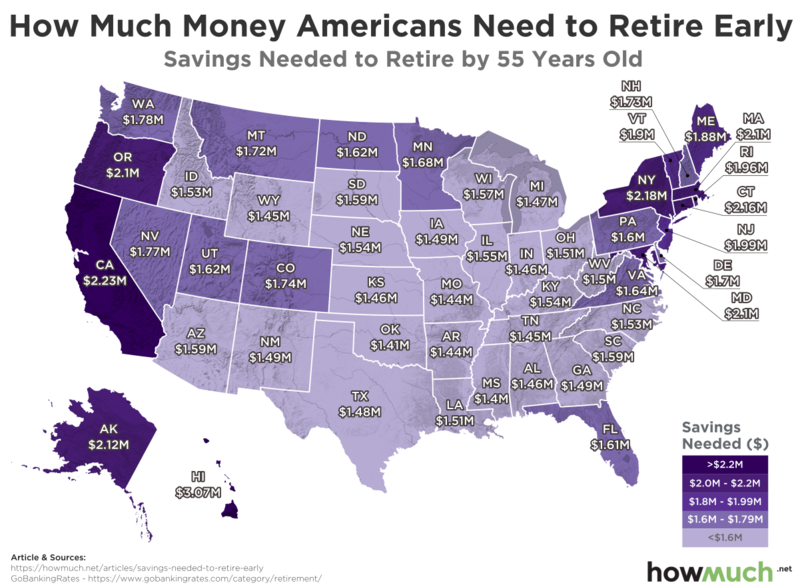 Mississippi is the best state for early retirees, but Hawaii, California and New York are prohibitively expensive. GoBankingRates collected the information from a few different sources. The researches started by figuring out the annual cost of living expenditures for people at 35, 45 and 55 years old, which came to $69,034, $73,905 and $64,972 respectively. They then adjusted the cost of living on a state-by-state basis using data from the Bureau of Labor Statistics’ 2017 Consumer Expenditure Survey and the Missouri Economic Research and Information Center. They divided each state’s annual expenditures by .04, which is the rate at which savers would draw down their accounts each year. 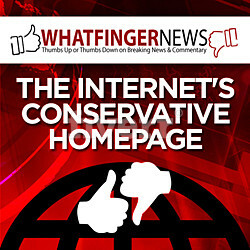 The result is a total savings figure, or nest egg, for each state. Granted, there are a few things to keep in mind about the data behind our maps. For one thing, our figures presume a flat 4% withdrawal each year regardless of what the market does. There’s no adjustment for inflation, and there’s no flexibility to change the withdrawal from year to year. We also make the assumption that your cost of living will stay constant. If you retire at age 35, you probably have 50 or more years left. In short, there’s no doubt we’re simplifying reality for illustration purposes. Our series of color-coded maps highlight a few insights about saving for retirement. $1 million isn’t nearly enough to last a lifetime, as we demonstrated in a previous article. The South is cheaper than the Northeast and the West Coast, making it particularly attractive for retirees on a fixed income looking for warmer climates. Mississippi is the most affordable state in the country for all ages of retirees, and Hawaii is the most expensive. An interesting thing happens to Upper Midwestern states for older savers. From Wisconsin stretching west to Idaho, a number of states fall below $1.6M for early retirees aged 55, but not for 45- or 35-year-olds.. This means it gets relatively easier to retire the older you get in these states, both because you’ll have more time to save money, but you’ll also need a smaller nest egg to live comfortably. Financial independence doesn’t always mean retirement, which itself isn’t fun for everyone. Instead, it’s knowing that you’re financially secure no matter what the future brings.